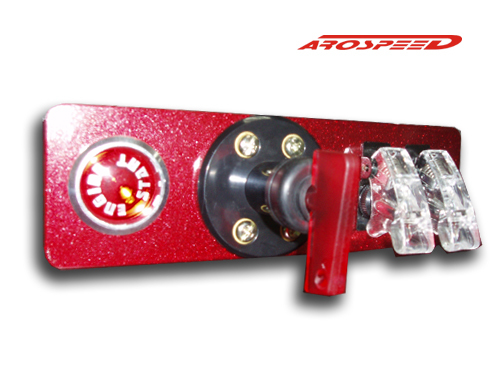 AROSPEED® design this beautiful DIN size carbon holder with 3 different kinds of switches to cater all you need for a racing car. 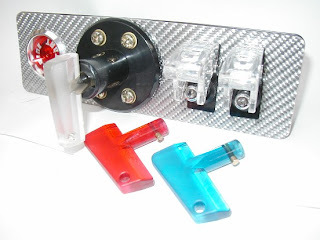 A newly invented LED illuminated LED Main Killer Switch allow you to see in the dark. 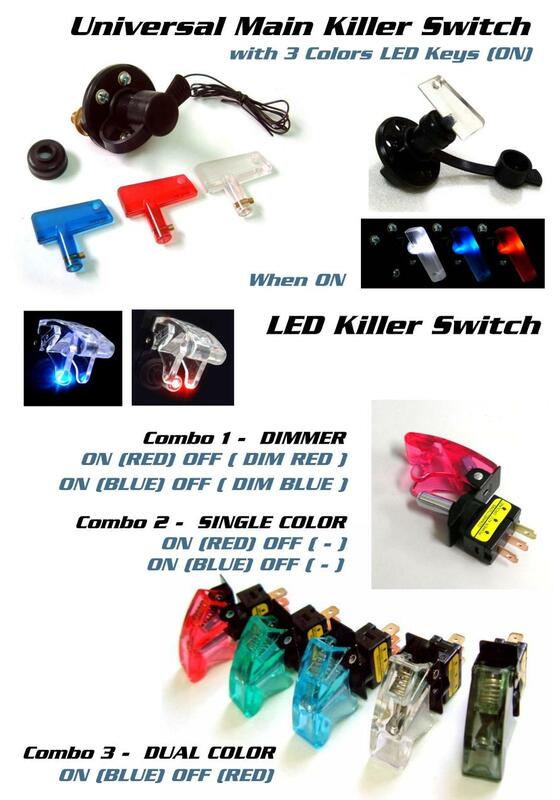 2 pieces of Pilot Killer switches with Dual Color LED design, let you know clearly status of devices connected if it is ON or OFF with Blue or Red LED anytime. The Engine Start Button come with 3 different lens color for you to match your car interior. 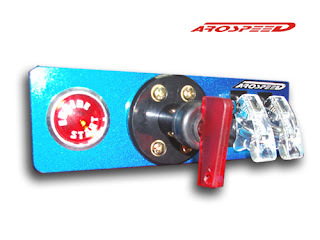 It is further enhance with its silver aluminum ring which enhance the high end looking of this product. 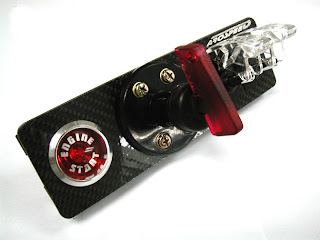 This is the best you can find in the market to dress-up your car. 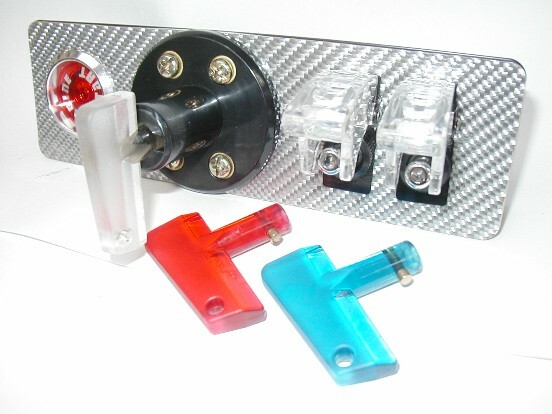 Universal DIN size fit all cars.